With NCSoft slowing sinking, teams being laid off, Richard Garriott himself exiting the company, it should come as no surprise that another round of lay-offs have rippled through the company. Sources tell us that today many of the Tabula Rasa team were let go. The plug has also been pulled on the game, according to both our sources and the official Tabula Rasa website:To the Tabula Rasa Community, Last November we launched what we hoped would be a ground breaking sci-fi MMO. In many ways, we think we've achieved that goal. Tabula Rasa has some unique features that make it fun and very different from every other MMO out there. Unfortunately, the fact is that the game hasn't performed as expected. The development team has worked hard to improve the game since launch, but the game never achieved the player population we hoped for. So it is with regret that we must announce that Tabula Rasa will end live service on February 28, 2009. Before we end the service, we'll make Tabula Rasa servers free to play starting on January 10, 2009. We can assure you that through the next couple of months we'll be doing some really fun things in Tabula Rasa, and we plan to make staying on a little longer worth your while. 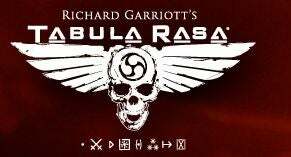 For more details about what we are doing for Tabula Rasa players, please click here. Stay tuned for more information. We thank you for your loyal support of the game and encourage you to take us up on the benefits we're offering Tabula Rasa players. The Tabula Rasa Team Our sources tell us that only a handful of people from the original Tabula Rasa team will be sticking around to maintain the game until it is shut down. Update: NCsoft spokesman David Swofford confirmed to Kotaku that the game has been shut down and that there will be lay-offs. "We’re going to be scaling down the TR team in preparation for the end of live service. But for now Brian, we currently don’t know how many people will be affected by that." Horrible times. Horrible times.